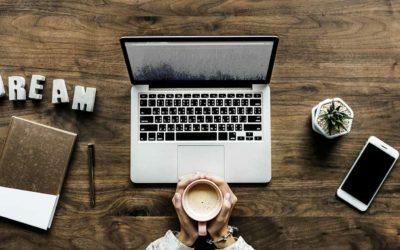 How to design a blog? It’s one of the most common questions that we get asked by people starting to blog. Its an important question. There are lots of blogs out there. If you want to stand out, you’ll need to up your design game. The good news is that it’s easier than ever to have a stunning looking blog, even if you’re a design dummy like me. 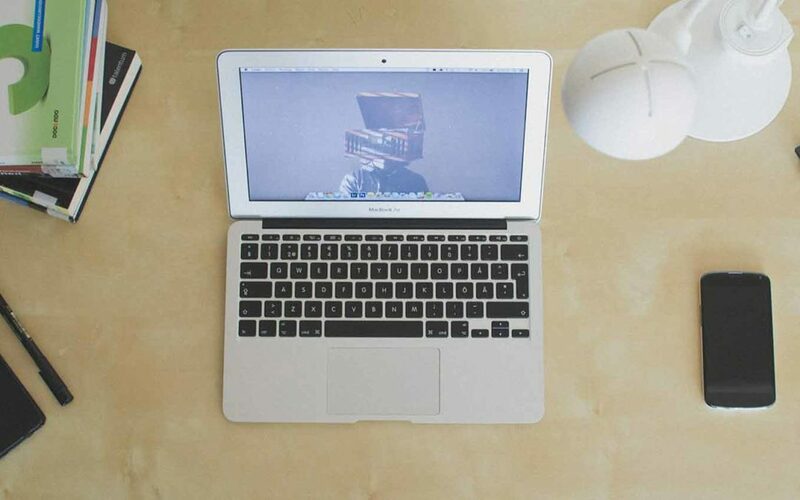 In this guide, you will learn how to design a blog on WordPress using themes and templates. This includes how to choose the right template and some design tips to make your blog look freakin’ awesome. A WordPress theme contains a collection of templates and style sheets that dictate the overall look and feel of your blog or website. WordPress themes are great because, thanks to them, you don’t need to be a designer to have a great looking blog. If you have a blog on WordPress, all you have to do is upload the theme file to your site and bam, you have a nicely designed website. Another feature of using a WordPress theme is that they allow you to make customisations without having to edit or write any code. You can easily change colours, fonts and layouts to make your blog completely to your liking. Below an example of the theme, we use on Fulltime Nomad. 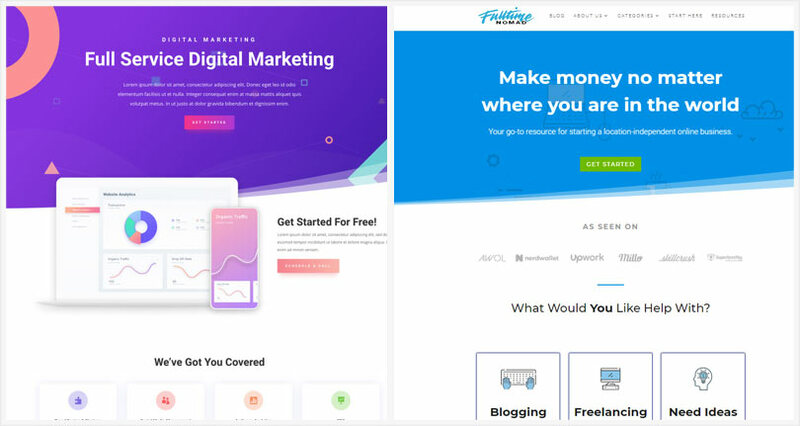 On the left is the Divi Theme that we started with. On the right is our blog after making a few customisations. There are thousands of themes that you can choose for your WordPress blog. Some of these are free and others are what you would call paid or premium themes. You might be thinking why would I pay when I can get a theme for free? A big advantage of using a premium theme is that it will usually have code that is reliable. This means that there is less of a chance that you will have technical issues with your theme. With a premium theme, there will also be customer support, in the event where something were to go wrong. Additionally, premium themes tend to have more options for customisation. The drawback with a free theme, is that these themes are often not updated regularly. This can cause problems , especially if there are updates to WordPress (which happens every few months) but your theme isn’t compatible with the new version. The lack of theme updates could also expose your site to security risks. I’m not saying that all free themes are going to have these issues. If you choose a free theme you just need to be aware that this can happen, if your theme isn’t updated or it doesn’t have developers actively working on the theme. Ok so where do you find themes and how do you get started? If you already have your blog set up, log in to the WordPress dashboard. Go to Apperance > WordPress.org themes. 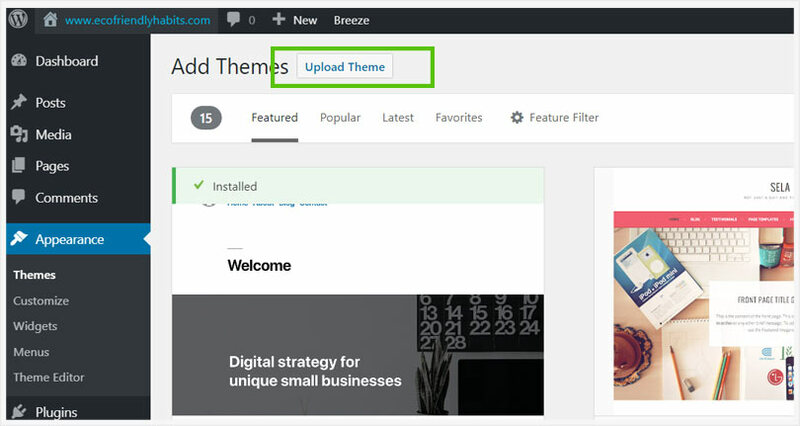 Here you can browse themes and install them on your website with a click. If you don’t have your blog set up just yet you can go to the WordPress Theme Directory. Here you can browse and preview themes. Simply download the theme file. It will be in the .zip format. We will show you how to upload it later in this article. 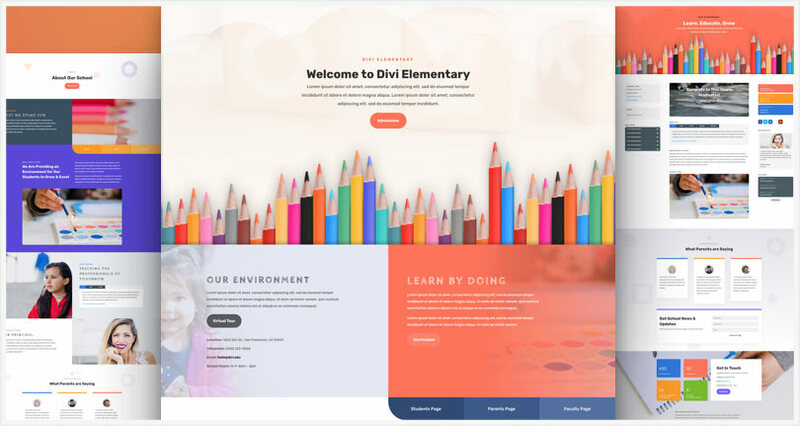 If you are looking for a premium theme we recommend Divi by Elegant Themes. This is the theme that we use for our blog. When you sign up to Elegant Themes, you get access to over 87 professional theme designs and this is why I like them. So many options! They also have a built-in drag and drop editor, making it very easy to make customisations. The other big reason we like Elegant Themes is the support and community they have. Over 500,000 people use Elegant Themes and there’s an awesome Facebook group where I often go for tips and helps. The other premium theme I would recommend is StudioPress. We have used this theme on our blogs in the past and have also used their themes for clients. As I mentioned earlier, there are thousands of WordPress themes available. Choosing the right theme is a pretty important step. Your them should look good but you also need to think about a few other things. You need your content to stand out, your site should load fast and most importantly you want a theme that actually functions well without any technical issues. 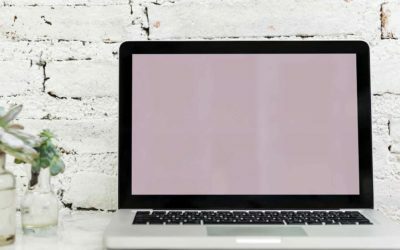 Does the blog theme match you needs? Think about what niche or area you are going to blog about. Does the theme style suit that niche? For example, the theme below looks great for a tech blog or website, but wouldn’t really work if you were doing a blog about fashion or cooking? Think about the type of content are you going to produce? For example, if you are going to add a lot of video, can the theme facilitate that? Is the theme responsive across devices? These days , people are consuming content across all types of devices and screen sizes. If you want your readers to hang around, you better have a responsive theme to make sure your blog looks good on desktop, mobile and tablets. A response theme will automatically adjust the design and layout of your blog depending on what device it is being viewed on. Good theme developers know the importance of a responsive design, so you will find that most recently developed themes are responsive. If you are unsure simply do a test. Visit your site on both mobile and desktop and see how the layout looks. If the layout looks the same on a mobile phone as it does on desktop, with no adjustments for mobile reading, then it’s best you look for another theme. Will you be able to customise your theme? It’s important that the theme you choose is easily customisable. One of the fun parts of having a blog is being able to change the look and feel to your style. Therefore you want to have a theme where it’s easy to change colours, fonts, layouts and the overall design in general. 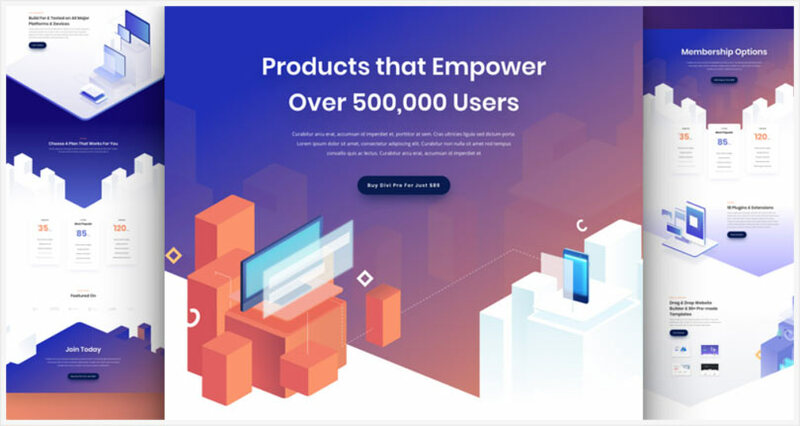 Themes like Divi use a visual drag and drop builder that allows you to easily customise any page on your blog, without having to touch any code. Make sure you choose a theme that has recently been updated. A theme that is updated recently means that there are people actively making improvements to the theme. This is important to ensure that the theme is compatible with the latest WordPress and security updates. Most premium themes will have full time developers that work on updates, so this won’t be an issue. 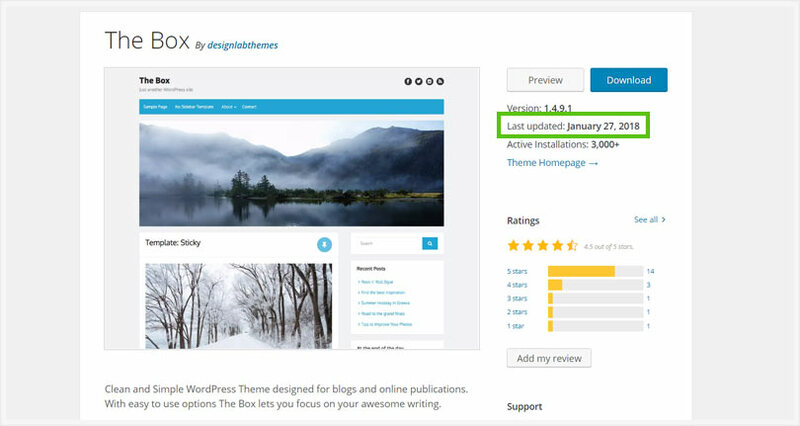 If you are using a theme from the WordPress theme directory look to see when it was last updated. If it hasn’t been updated in a while – steer clear. Does your theme have support? If something technical goes wrong with your theme, having support for your theme is going to save you a lot of time and stress. If you are using a free theme from the WordPress directory, you want to see if there is support available for that theme. If you buy a paid theme like Elegant Themes you will have a support team that can help you with any issues. Free themes are good for those who are on a budget. However, as you are probably aware by now, they can cause problems that end up costing more than the price of a premium theme. Since there isn’t much financial incentive for developers, free themes generally lack quality coding and reliable support. Additionally, you run a risk of the theme not being updated which can cause compatibility issues with other software on your blog like WordPress. If you decide to go with a premium theme, you will have a theme that is regularly updated and online support available, should anything go wrong. If you have a really popular theme like Divi for example, you can find great community support as well. There are whole Facebook groups with thousands of other users willing to help. A premium theme will also have many more features than a free theme. This making is easier for you to customise and make your blog unique. 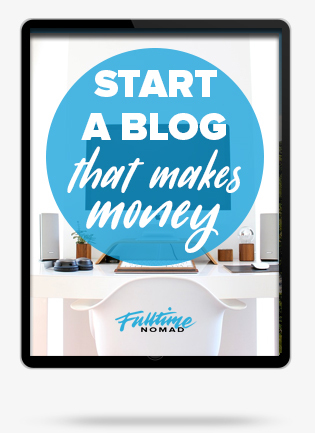 A free theme is great when starting out, however, if you are looking to take blogging seriously and make income from it, inevitably you are going to use a premium theme. When you’re at the stage of designing you need to be careful no to get caught up small details. I know, it’s exciting. 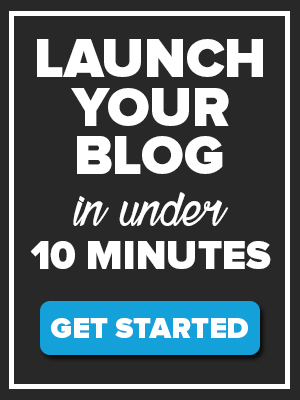 You are finally launching your blog and you want it to look perfect. But trust me, rather than spending days trying to perfect your site, it’s better to get something quickly up and move onto growing you blog and making money with it. This is coming from a recovering blog design perfectionist. What you want to do is find a theme that is very close to what you are after so you don’t have to make many changes. Sure you can play around with colours, fonts and images, but don’t spend a crazy amount of time on redesigning layouts and pages. Find a theme that’s close to what you want and run with it. Once you have decided on your theme, It’s time to install it. 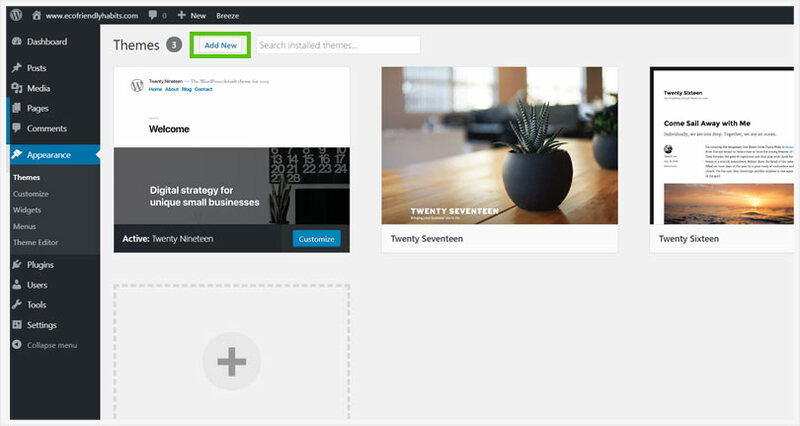 If you are using a free theme navigate to “Appearance” and then “Themes” within your WordPress dashboard. 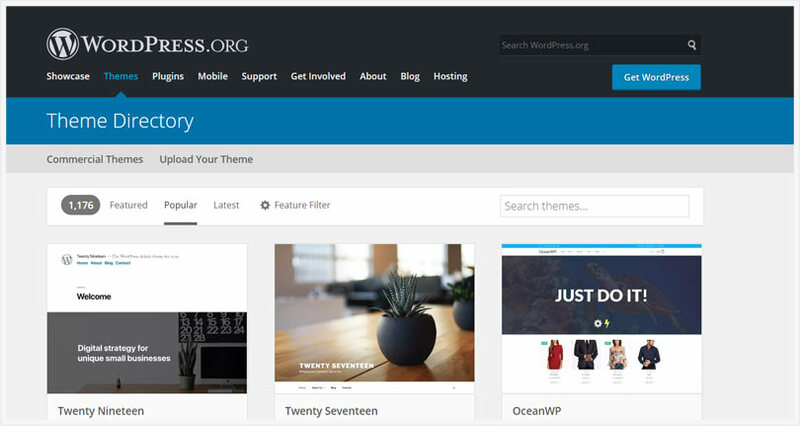 Here you will be able to browse and search for themes in the WordPress directory. Once you have found the theme you are after click the “install” button. When you purchase your theme you will be able to download it as .zip file. Once you have downloaded it go to ‘Appearance’ and then ‘Themes’ and then click ‘Add New’. Chosse the .zip you have downloaded and upload your theme. To make your theme live click “Activate”. Your new them should be live on your site. To check simply enter your domain name into a browser. As you can see, creating a beautifully designed blog isn’t that hard. WordPress themes and templates have made is very simple for the average person to design. To reiterate, if you’ve decided to use a free theme make sure there is support and that the theme has recently been updated to avoid any security and/or compatibility issues. If you have the budget, I would recommend using a premium theme like Elegant Themes. Having a premium theme will help you avoid technical issues, you’ll have more features and have customer support if you ever need help. If you have any more questions about blog design, hit us up in the comment section.